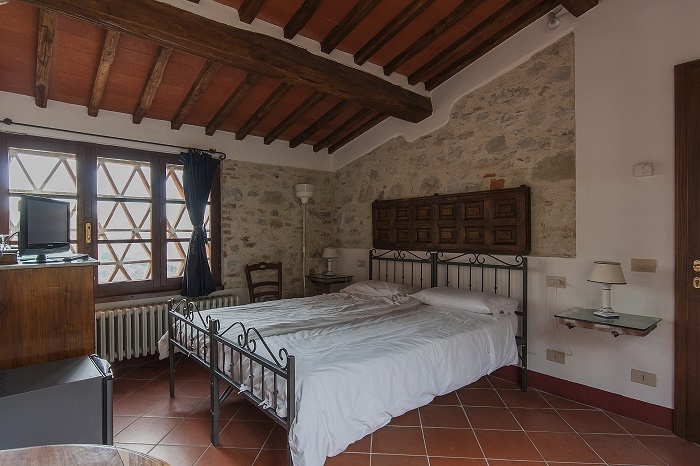 Our rooms are all different from each other, with Tuscan country-style furnishings, all with private entrance. They have heating and air conditioning, free Wi-Fi, TV with foreign channels, small fridge, strongbox and hairdryer. The tables in the garden and on the porch are at our guests’ disposal.Daily cleaning. with glass ceramic cooktop , fridge, oven, hotwater kettle,crockery and a diningroom . Evocative and romantic, on two levels connected by a staircase made of pietra serena. At ground floor, dining room and Kitchen equipped with gas cooktop, fridge, oven, hotwater kettle,crockery. 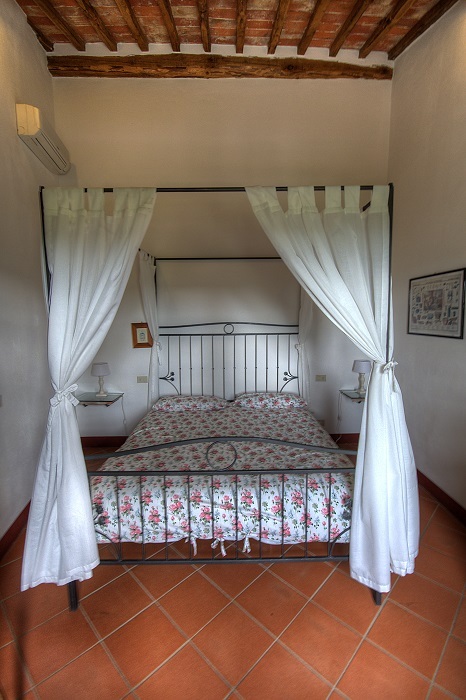 At first floor, a very large room with four-poster bed and bathroom with bathtub and shower. 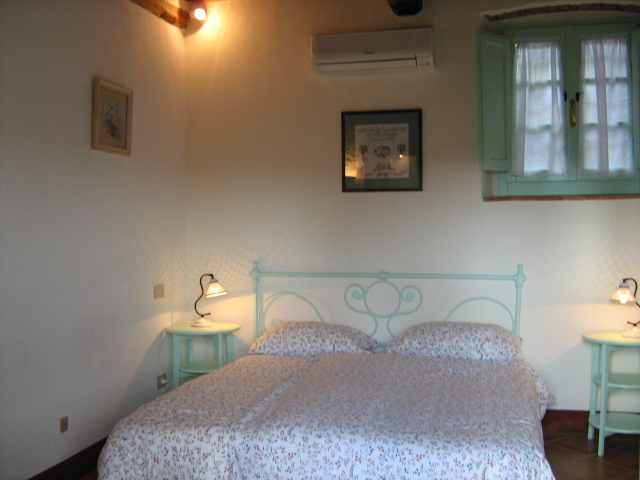 Heating and air conditioning, free Wi-Fi, 2 TV with foreign channels, safe and hairdryer.